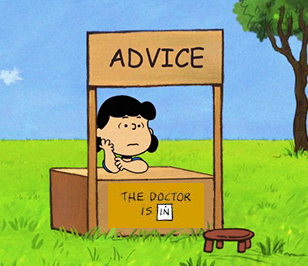 If you ask for advice, you still have to decide whose advice you will take. And if the advice is contrary, you are no better off than you were in the first place. Choose our counselors wisely. I can be terrible about making decisions, particularly decisions that affect others and not just me. I ask lots and lots of questions of people I know, supervisors and neighbors and friends and family, and often, every answer is different. I end up with information overload. And yet, Proverbs 15:22 states, “Plans fail for lack of counsel, but with many advisers they succeed.” So, it’s not the amount of advice that is the problem, but the counselors themselves. Who do I trust and why? My tendency might be to get frustrated and cast off all the advice and all the counselors and simply go my own way. Or, perhaps I’m kidding myself and I know which way I want to go and I’m simply asking enough people to get the one advice that matches my own private decision. But there are some hints in the story of Rehoboam and his advisers. First of all, the first advisers were older and had already spent many years advising King Solomon. He was, overall, a very successful king. And secondly, the key to their advice was that responding their way would create loyalty and good will. Rehoboam was too young to realize how powerful loyalty can be. He wanted to appear strong and believed in the power of fear over the power of love and grace. Leadership by fear is probably the worst kind. So, the best advice in the face of a difficult decision? The paradoxical – what is best for the people the decision is affecting. That is the key. And of course, seek God’s counsel first. But I know too well, how hard it is to “hear God’s voice.” But if we pray before we ask a human counselor, we may discover the wisdom of God is speaking. And I have to smile, just this week, my pastor said, “Two patients don’t equal a doctor.” Be sure that the advisor you seek has some counseling cred (experience).